A mold problem has forced The New School to move more than 100 residents out of a dormitory in Manhattan, according to an email sent out by the university. Ken Buffa reports. 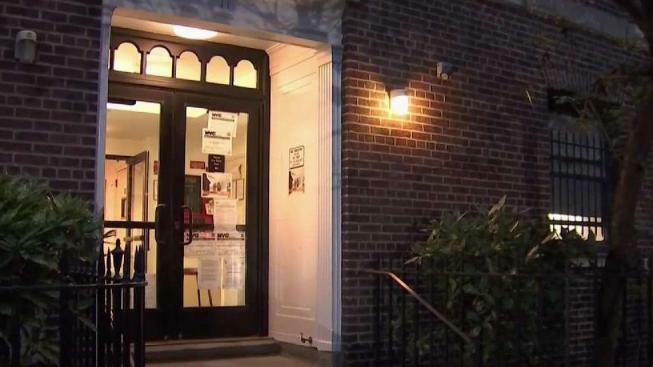 A mold problem has forced The New School to move more than 100 residents out of a dormitory in Manhattan, an email sent out by the university says. Staff at the 13th Street Residence, between Sixth and Seventh avenues in Greenwich Village, discovered mold in the dorm after they noticed one of the walls was damp, the email says. The university is moving all 161 residents out of the dorm and into other buildings “out of an abundance of caution,” the email notes. MOLD forces more than 160 @TheNewSchool students out of their 13th street residence dorms. The school says no health issues have been reported. Everyone has to be out by Oct 1. The school believes the problem at the 13th Street Residence is an “isolated situation,” but says it plans to inspect all of its other dorms for mold. Students told News 4 New York they were upset about the unexpected move. “It’s not even normal. We’re paying so much for this... and now they’re moving me to 92nd Street, and my classes are all on 13th,” student Mira Siouffi said. Undergraduate tuition at the school is around $23,000 per semester, according to the school’s website, while housing fees can surpass $20,000. “We understand the inconvenience that this causes for members of our community, and we are doing everything we can to ensure that students have the space and resources they need to carry on their studies with as little disruption as possible,” the school said in its email. News 4 has reached out to The New School for comment.